Stop Waiting For Game Film. Live Stats Help You Win. Input stats after the game in minutes, right from your score sheet. Print/post custom stat pages. 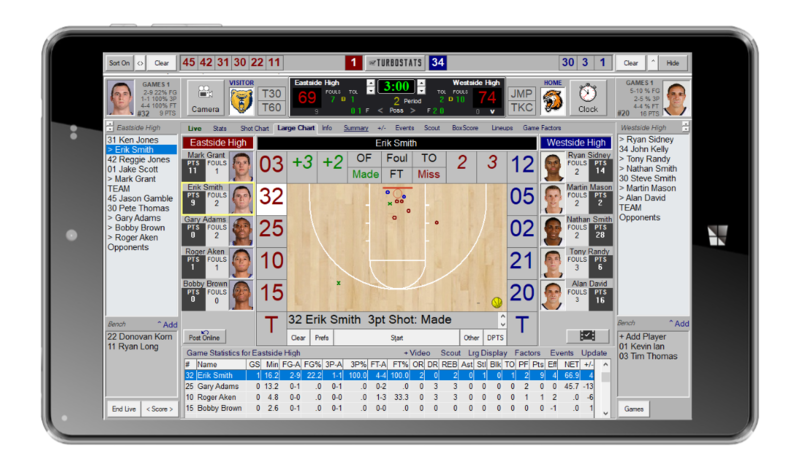 Score live and use shot charts and game time analytics to help you win today's game. Cuts data entry time in half with our built-in video player that automatically stops and starts when you enter statistics and tags clips as you score. Intuitive live scoring with 10 different scoring modes for any level scorekeeper. Fully edit and undo events. 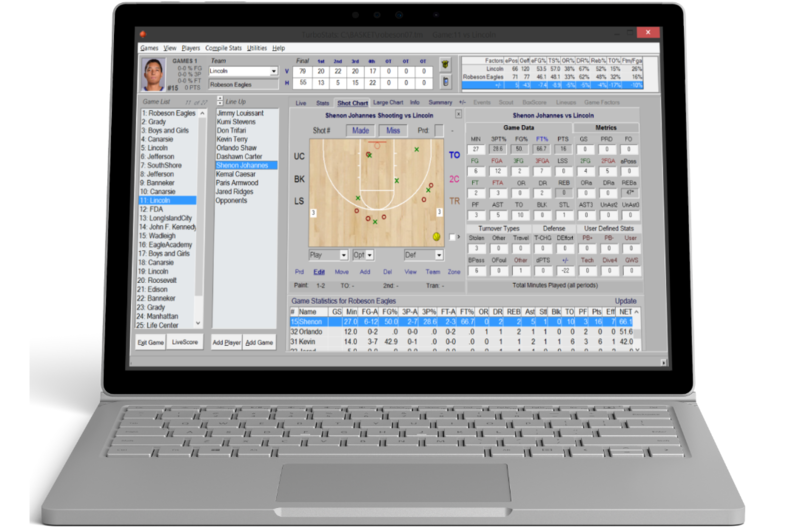 Provides optional shot charting with live metrics and custom box scores. 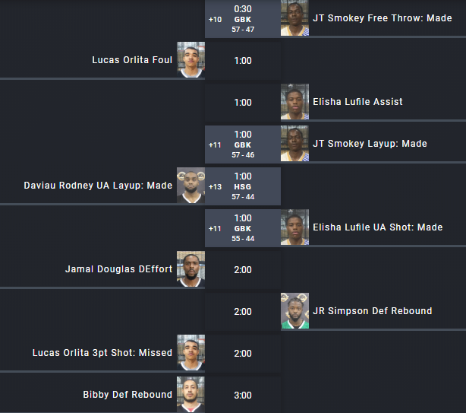 Now supports intersquad scrimmages for practice analytics plus tags and syncs with streamed video. 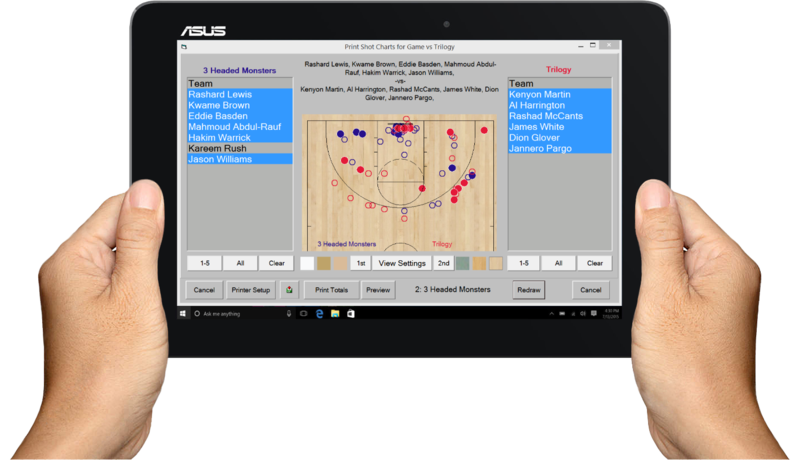 TurboStats Ultra can provide full statistical breakdown of individual plays, inbounds plays, and even defense using your terminology. We can also track the efficiency of your offense with different point guards. Mistakes happen, that's why we created Fast Edit, a quick and easy way to edit, insert or delete any event at any time. No need to rescore the game like other apps. Change the player, event type, play type, shot type and more! Getting your stats the next day isn't going to help you win today's game. 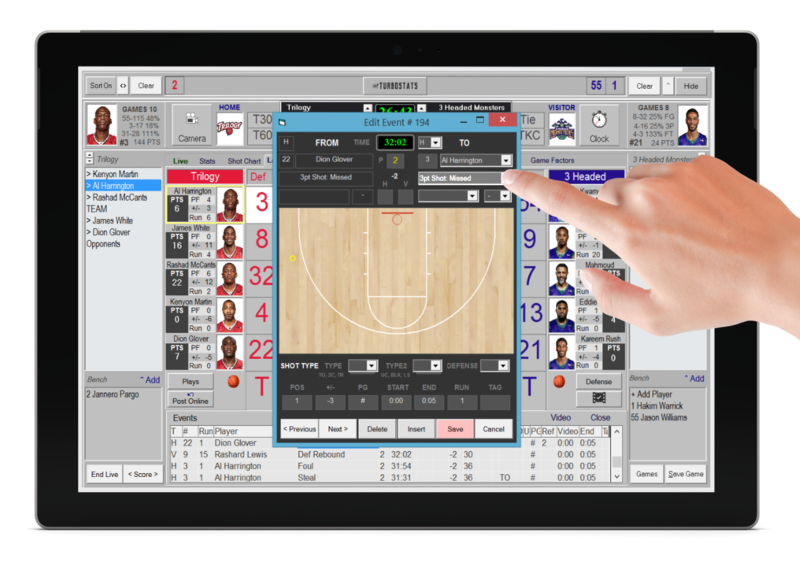 With TurboStats live scoring you can see where your opponent is beating you on the floor, view game factors and player efficiency, then make the necessary in-game adjustments to win. 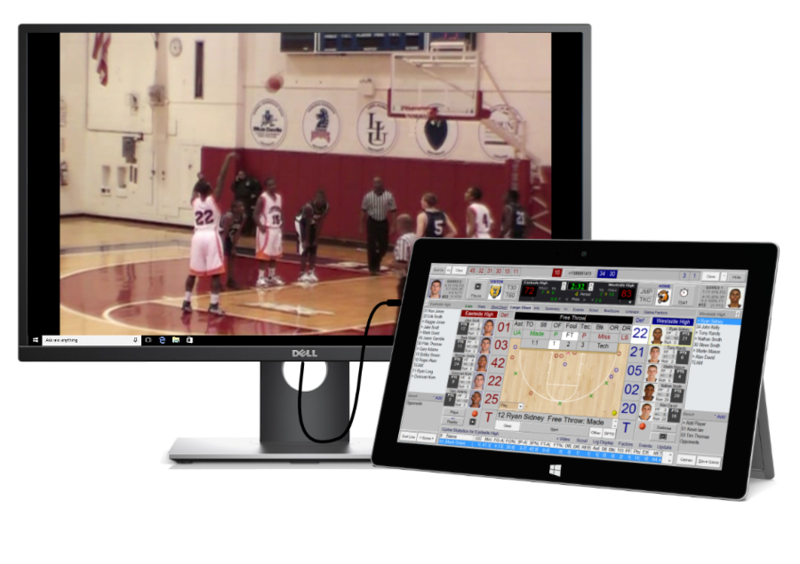 Film your game on a separate camera or tablet and keep the video running the entire period. At the end of each period stop the video. This will break down video into four separate clips (one per period). Import the video clips after game or halftime by putting the camera SD card into your Windows device. TurboStats will copy and rename the video so you can reuse the camera card for the next game. Film the game as you normally would and upload your video to Hudl. Email your game film link from Hudl and download the video to your Windows device. 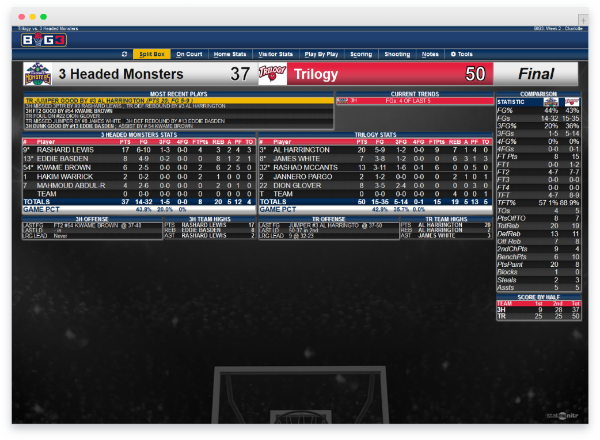 Let TurboStats update your scoreboards and shot clocks. 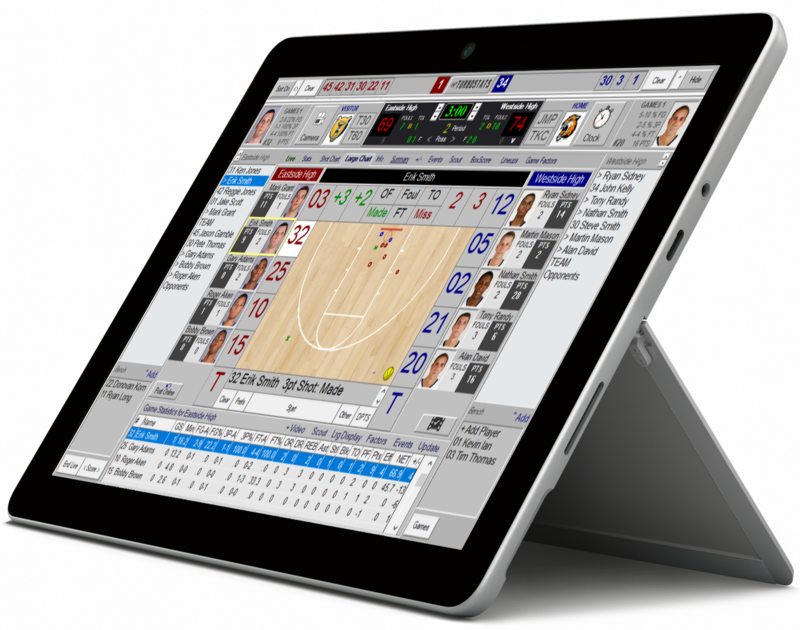 Simply connect your tablet to LCD monitors that can support a Windows extended display, and your scoreboards and shot clocks will synchronize with TurboStats live game scoring instantly. Create. Animate. Record. Print. Share. 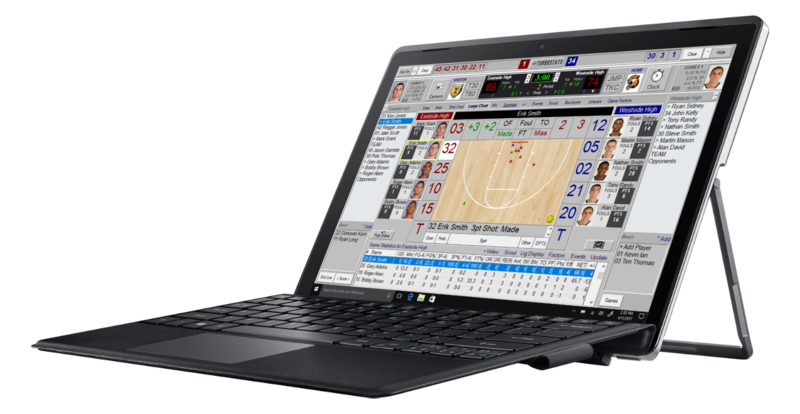 Our animated playbook diagramming software allows you to animate your plays, show multiple passing options, and mirror plays. Sketch right on the screen with whiteboard mode. Record plays as MP4 files and print PDF files for easy sharing. 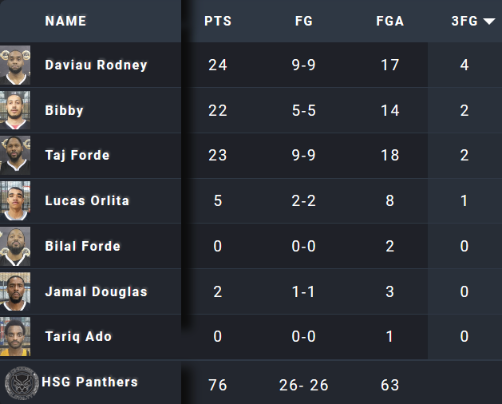 Professional game box scores with one click. 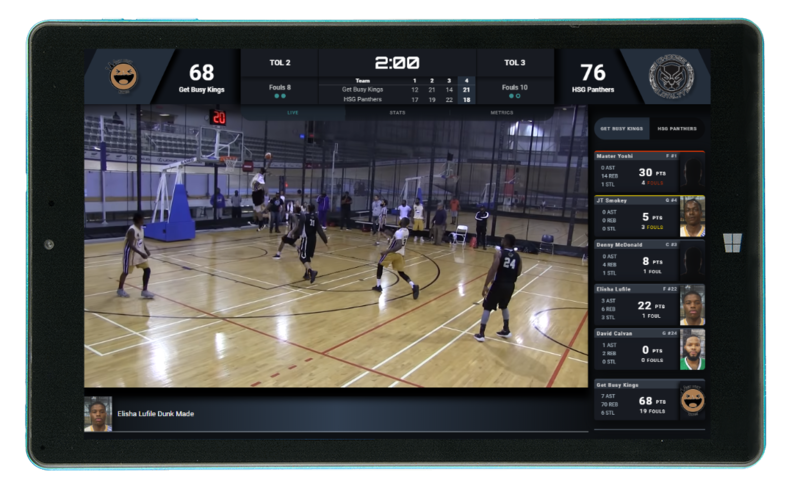 "I have been running basketball leagues for over 8 years, currently one of the largest leagues in Southern California, and have used multiple good products to track stats. But after upgrading to TurboStats 9, I have finally found the best and greatest live tracking system, as well as league data system on the market. This has improved my process, and cut my back end time by 15 hours per week. I am all in with this product. Thanks TurboStats!!!" "I take down all the live stats from our games, and I’m able to do things such as calculate an individual player’s efficiency, and track where we’re shooting well and poorly from on the floor. The ability to do that during a game and make adjustments at halftime has helped me out a lot." "Advanced metrics are changing the way many top coaches evaluate the game." Subscription Plans are renewed yearly. Free upgrades and 2 new licenses are included with each renewal. Recommended plan if your device is a school device and is re-imaged each year. Lifetime Plans are one time purchase plans and include 2 licenses. Upgrades are not included and are sold separately. Licenses do not get renewed and are final. 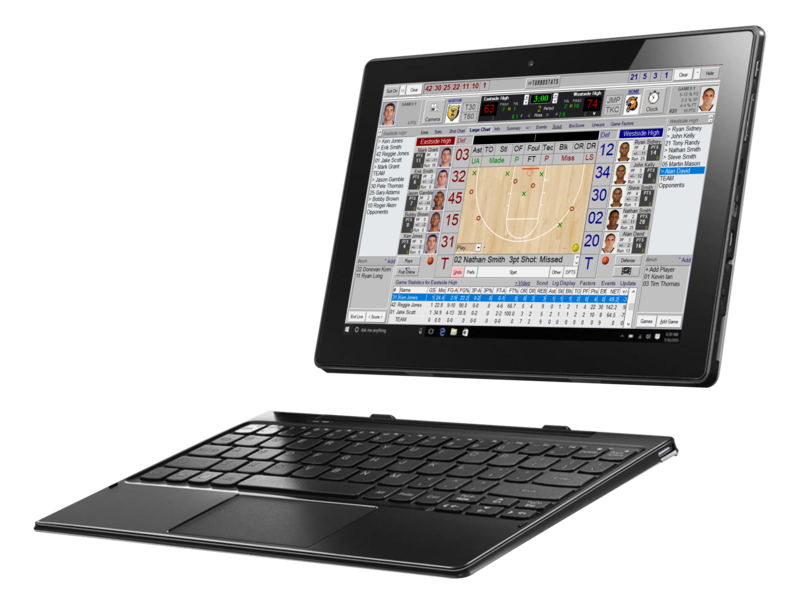 TurboStats runs on any Windows tablet, PC or laptop. Below are some tablets that we've tested and recommend. Tablets come preinstalled with TurboStats and Windows 10. *Pricing shown is for amateur teams and leagues. For professional leagues, call us at 973-404-0048. Back up, share, webcast and post team websites with one click. TurboStats is more than just great statistics. Our new League Planner Pro software can create professional websites for any sport with a score ticker, schedules, rosters, standings, stats, leader boards, and more! 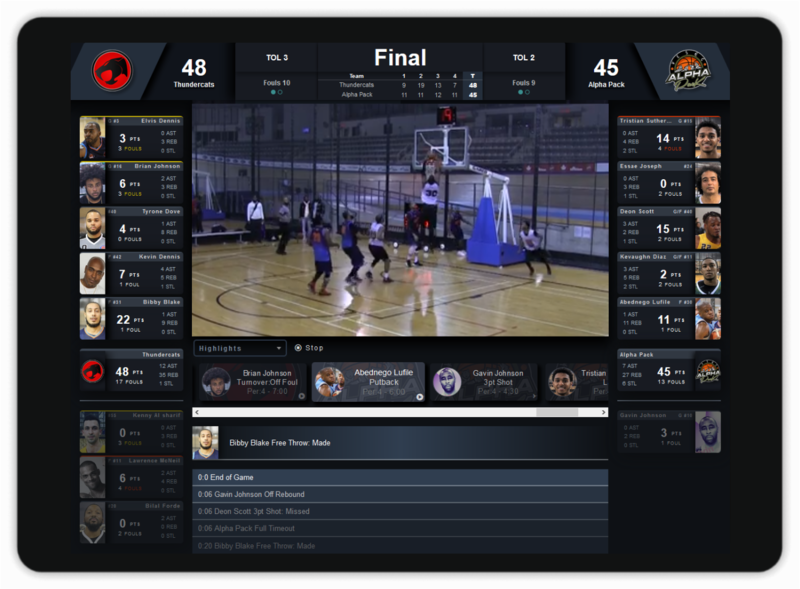 Our software was selected by the BIG 3 professional basketball league on FOX Sports.